Jawbone, the company behind the UP24, UpMove and UP3 fitness trackers, has launched a partner marketplace in the US aimed at drawing together the best apps, devices and other integrations available across the Jawbone ecosystem..
Rather than list all the possible available integrations, the Jawbone Marketplace only has best-in-class offerings that work neatly with its own products. As a result, there’s only around 10 right now. 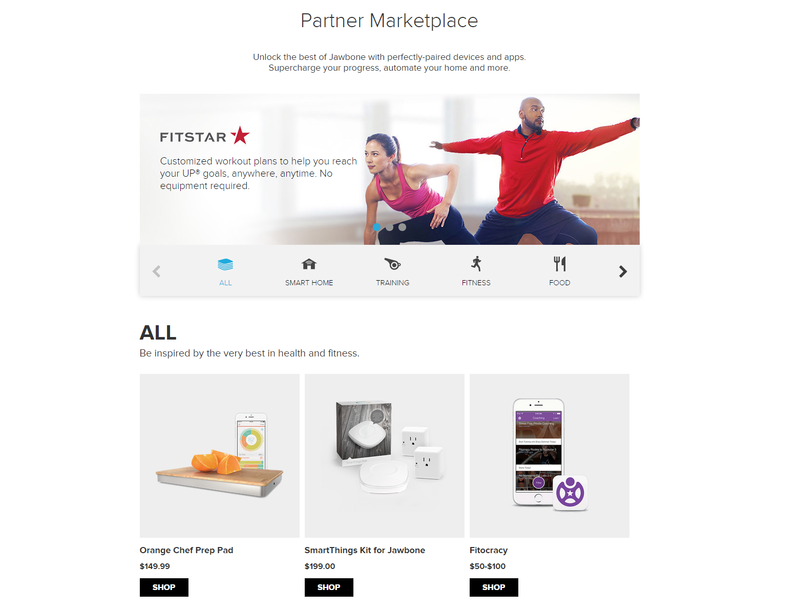 Currently, things like Fitbug’s Kiqplan training service, Sleepio and a SmartThings Kit for Jawbone are available. While that isn’t many, the portal is broken up into categories like sleep, food, lifestyle and smart home (among others), so presumably more will arrive in the near future – providing it can keep encouraging developers to use its APIs.